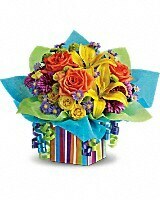 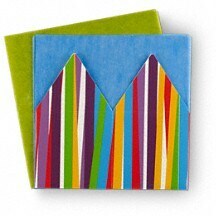 All the colors of the rainbow are present in this fabulous gift bouquet. 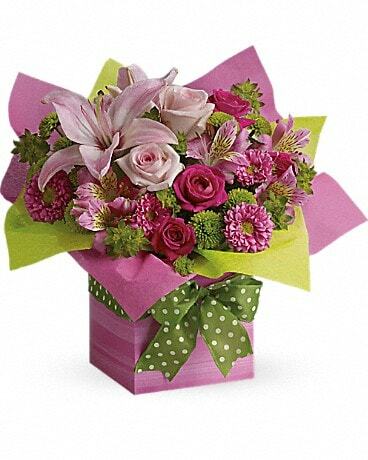 It's so bright, so brilliant and so unique, it will put anyone in the mood for celebrating! 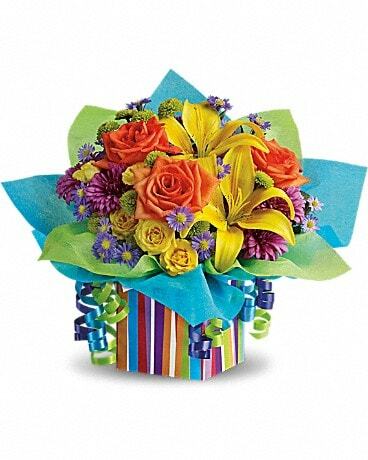 This festive waterproof gift box is from Teleflora's limited-edition Present Perfect™ Collection. 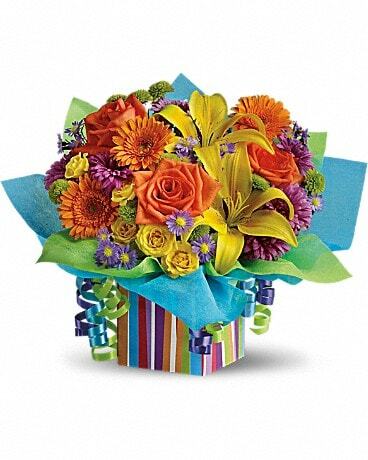 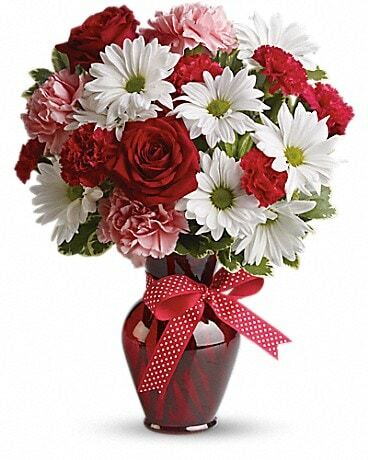 It can be used to brighten all kinds of celebratory bouquets.